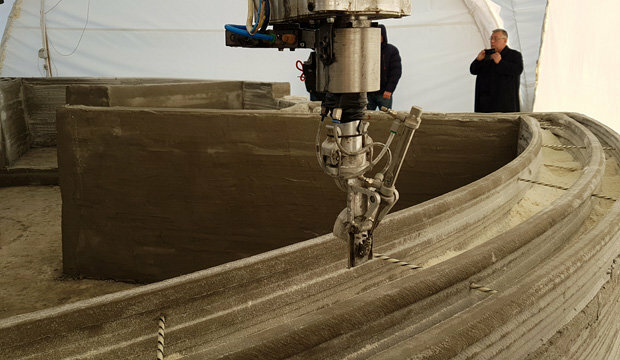 Developers of a mobile 3D construction printer Apis Cor have demonstrated the printing process on-site at the Stupino aerated concrete factory. 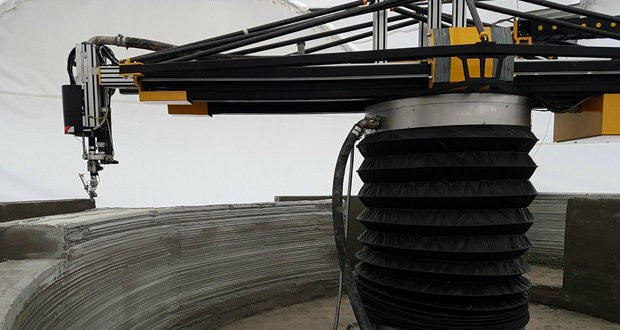 The construction is one of the industries additive technologies have started to tap into. 3D printing of various buildings is a hot topic worldwide, which attracts with the benefits of waste-free production, high performance, fast construction rate and low cost of finished buildings. 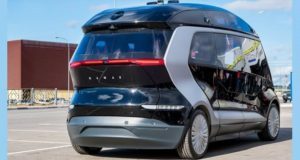 The Russian company Apis Cor offered its own solution by developing a mobile circular 3D construction printer with a telescopic arm on the platform. A small size and weight allow the printer to be easily moved on the site or transported with the help of conventional construction machines. According to the information on the company website, the construction robot is able to reach a printing zone of 132 square meters, it is equipped with a system of horizontal self-leveling and does not require a specially adapted surface for installation. Only two people can handle the printer operations, and pre-starting procedures take less than an hour. 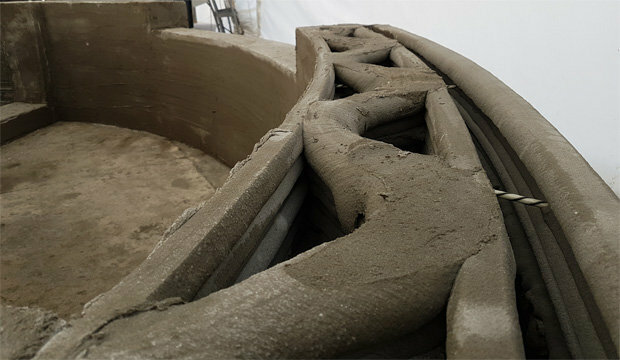 Printing process requires special liquid mixtures: geopolymer, concrete (for a foundation) and fiber concrete for walls. Wall thickness and configuration can be changed if needed. 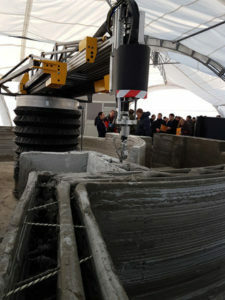 The developers of Apis Cor 3D-printer have demonstrated the printing process in the city of Stupino near Moscow. 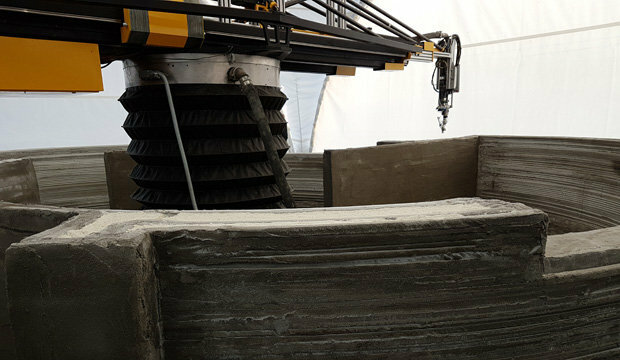 Mounted on the site, the robot-builder was printing supporting and internal fiber-reinforced concrete walls on the foundation of heavy concrete poured on basalt composite construction mesh. In overall, the printed structure is a two-chamber package where the spaces are Z-reinforced with glass/basalt fiber composite, basalt fiber mesh, and covered with finely-divided insulation. 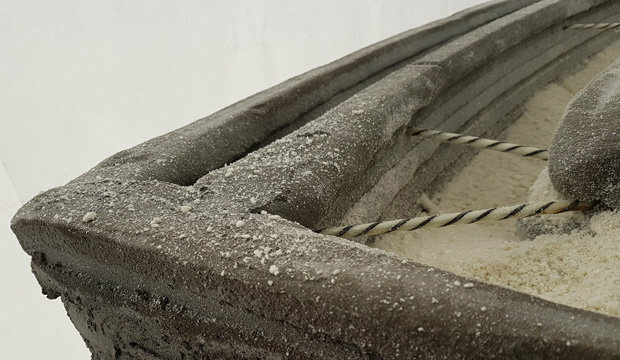 As a result, all the walls are fastened together but do not contact to enhance insulating properties of the structure, to avoid condensate formation in the room, not to create “thermal bridges” due to low thermal conductivity of composite reinforcement. The developers calculated that a printed house would be cheaper by 40% than conventional concrete one. Cost saving is a result of structural and decorative materials cut-down and lack of necessity in both the majority of tools and manpower. 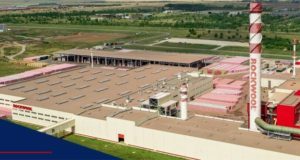 Apis Cor is not going to enter the construction market, the company offers 3D-printers and different construction mixtures for sale and for rent. It is easy to differentiate a mobile construction robot from a portal type because the latter is huge, equal in size to the building. For instance, the 3D-printer that printed buildings in China a year ago is 6.6 meters high and 32 meters long, such dimensions rather complicate the processes of installation and transportation. And the size does matter because NASA is holding a contest and considers options of 3D printed habitats for astronauts on Mars and other planets, though it may seem strange. 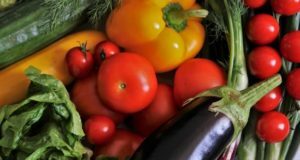 The experts are sure that planetary exploration is only possible if astronauts use local materials as structural elements, and 3D-printer to build everything they need on-site. RedWorks team offers to print habitats and industrial buildings from basalt regolith, that is local soil, whose composition is almost identical on the Moon, Mars and asteroids. Professor Behrokh Khoshnevis from University of Southern California became the winner of the competition of construction technologies. He has developed a “Selective Separation Sintering” process that allows for the creation of interlocking structural elements for construction.